My previous commentary, “Why Merely Repealing Obamacare Isn’t Enough,” was written in anticipation of the Supreme Court’s Obamacare verdict. Its aspirational title reflected my conviction that, for the Supreme Court to restore true Constitutional order, it couldn’t just reject the insurance mandate and its unprecedented intrusion into the lives of individual citizens—it would also have to overturn a deeply flawed 1942 decision that inflicted catastrophic damage on our national compact, a compact where the federal government is limited to powers specifically enumerated in the Constitution. Today, that once-hopeful title now serves as a bitter reminder of a Supreme Court decision that—rather than restoring appropriate boundaries to federal power—instead broke an astonishingly wide new hole in the safeguards carefully crafted by our founders. The 1942 case, Wickard v Filburn, inflicted upon the nation an utterly implausible if deviously imaginative interpretation of the Commerce Clause, one that disregarded the context in which the clause was written, severely eroded Constitutional restraint and helped enable the sprawling federal government we have today—and its ever-broadening threat to personal and economic liberty, state sovereignty and its own fiscal security. Given Roberts’ zeal in illustrating the perils of the government’s Commerce Clause logic, it’s almost inconceivable that he would then embrace a different premise to unleash essentially the same perils—and yet, that’s precisely what he did, declaring that the government’s mandate was within its power to lay and collect taxes. To do so, he had to first conclude that the Patient Protection and Affordable Care Act’s financial consequence for not purchasing a qualifying health insurance plan—called, in Orwellian fashion, a “shared responsibility payment”—is a tax and not a penalty. That conclusion flatly contradicts the language of the Act itself, which repeatedly refers to it as a penalty, never once in its 2,700 pages calling it a tax. It also contradicts the positions taken by the law’s architects—including President Obama, who had memorably ridiculed those who would call it a tax. More significantly, Roberts’ tax label is inconsistent with how the court has distinguished taxes from penalties throughout its history. According to the non-partisan Tax Foundation, “tax” has been widely defined as “an exaction imposed for the primary purpose of raising revenue for general spending.” If, however, Americans all rise to their newly-imposed “responsibility” to purchase health insurance, this so-called tax wouldn’t raise a single penny of revenue—making it clear that revenue can’t be its primary purpose. commands that every “applicable individual shall . . . ensure that the individual . . . is covered under minimum essential coverage”…[and]…states that, “if . . . an applicable individual . . . fails to meet the requirement of subsection (a) . . . there is hereby imposed . . . a penalty.” (emphasis added). Clearly this is not a tax carrot—like a deduction for retirement plan contributions—but rather a federal stick used to penalize those who disobey a federal command. 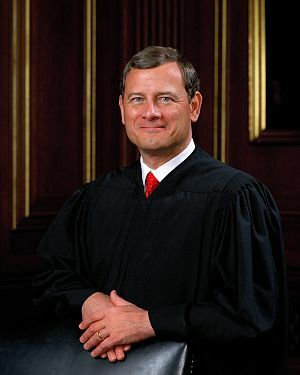 Roberts embraced the notion that the mandate “makes going without insurance just another thing the government taxes, like buying gasoline or earning income”—blissfully unware, it would seem, of the vast chasm between taxing consumption or income and taxing a citizen’s decision to defy a government order to buy something the federal government thinks he should own. Or, more fundamentally, the difference between taxing activity and taxing inactivity. This plot twist was all the more surprising since not one of the lower courts had found the tax argument plausible. Worse, Roberts remarkably declared the mandate both a penalty and a tax, conveniently calling it the former to permit the court to rule on the case and the latter to uphold its constitutionality. It was a first: Until Justice Roberts’ dubious display of cognitive dissonance, never in the long and varied history of Supreme Court tax rulings had an imposition been determined to be both a penalty and a tax at the same time. Etched in precedent, this list of attributes now offers a recipe for concocting new challenge-proof mandates far from the realm of health care. Indeed, the universe of things the government can tax you for not buying is largely limited by the imaginations of legislators and lobbyists—solar panels, U.S. automobiles and fitness club memberships could all be fair game. Who knows—with the federal debt racing toward $16 trillion, Americans may someday face a “solvency responsibility payment” paired with a command to buy U.S. Treasury debt. But that’s only just the beginning. With Roberts noting that “taxes that seek to influence conduct are nothing new”—and with the Supreme Court offering ample evidence of its ability to expand previous boundaries—there may be little standing in the way of financial penalties for disobeying federal edicts that have nothing to do with purchase decisions. While George Will and others are justified in taking a measure of satisfaction in the Supreme Court’s rejection of an expansion of government power under the Commerce Clause, Americans nonetheless face a grim reality: The court’s enormously permissive Commerce Clause precedents are fully intact, and are now paired with a precedent that creates a new means of federal intrusion in the lives of American citizens. With Wickard v Filburn now joined in dishonor by National Federation of Independent Business v Sebelius, and with personal liberty further jeopardized by an ominous new federal power, the time has come for individual states to protect their citizens against unconstitutional federal overreach—with a power that’s largely forgotten but firmly rooted in the American tradition: nullification. In nullifying an unconstitutional federal law, a state declares it void and inoperative within that state, and may also make it a crime for federal or local officials to enforce it. Wondering what state nullification of the Patient Protection and Affordable Care Act might look like? Learn more at the Tenth Amendment Center. With the latest debate about “fair” tax policy coinciding with the 99th anniversary of the federal income tax, it’s interesting to look back at what Congress considered fair when it all began. The income tax was originally sold to the American people as a means of “soaking the rich”—a phrase that seems refreshingly candid when compared to today’s cushioned yet calculated talk of asking the rich to “pay their fair share.” While many early 20th-century politicians shared the feelings of our founders and resisted the notion of a direct federal tax on the product of a citizen’s work or investment, their fear of being tarred as protectors of the wealthy outweighed their conviction and the income tax was unleashed in 1913. It was far simpler. The instructions for the original 1040 fit on just one page, compared to 100 today. Meanwhile, the full tax code spanned 400 pages, while today’s leviathan consumes more than 72,000. Hardly anyone paid it. While the relentless growth of the federal government would force it to eventually engulf a huge swath of the population, the original income tax focused on only the most prosperous Americans. Thanks to a generous personal exemption, only those with taxable income greater than today’s equivalent of $67,000 were snared by it, which meant 98 or 99% of Americans kept everything they earned from either their own work or from their savings and investments. Those who paid did so at much lower rates than today. The original income tax applied a mere 1% rate on income all the way up to $452,292 in today’s dollars, according to the Tax Foundation. Like our current code, the 1913 version applied higher rates to higher incomes—but topped out at just 7% on income over the equivalent of a whopping $11.3 million today. In stark contrast, there are many politicians in 2012 who think it’s perfectly reasonable for the federal government to lay claim to a full third of a citizen’s income above a far lower threshold than that. Received dividends were exempt from income tax. At the outset, the income tax avoided what many consider an unjust aspect of today’s tax code: the double-taxation of corporate dividends. That is, dividends are paid out of after-tax profits, and those same dividends are taxed again when received by the investing shareholder. Those arguing today that dividends should be taxed at the same rates as ordinary income would gain allies if they also embraced corporate deductions for dividends— preventing our gluttonous government from taking two bites from the same profit. Imagine if, instead of proposing the far less invasive original version, politicians in 1913 tried to implement the income tax as we now know it. Starting from a fresh slate, would Americans have considered it a reasonable proposal? Certainly not. And yet today, after nearly a century over which the income tax has insidiously expanded its intrusion into our economy, our politics and our lives, millions of Americans who never knew a world without the income tax accept its continuation as inevitable. Without consciously doing so, they surrender to what Milton Friedman called “the tyranny of the status quo,” where existing policies are fiercely guarded from change by politicians, bureaucrats and those who directly benefit from those policies. That said, Americans’ tolerance of the income tax could be on the cusp of a steep decline. Spurred by a growing appreciation of the income tax’s many inherent flaws, legislation to repeal it and replace it with the FairTax—a national sales tax on new goods and services—has attracted 66 co-sponsors in the House of Representatives and eight in the Senate, along with the support of Libertarian presidential candidate Gary Johnson. Like many of his other principled stances, Paul’s strident opposition to the income tax prompts some observers to dismiss him as extreme. Perhaps, however, what’s truly extreme is the notion that our government should have a presumptive claim on the income of its individual citizens. 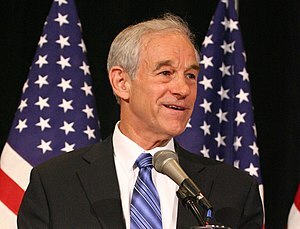 If Ron Paul’s growing popularity is any indication, more and more Americans are reaching the conclusion that the “fairest” approach to income taxation is to have no income taxation at all.